The UK's number one manufacturer of lighting towers has been leading the field, responding to the growing demand from the events sector for reliable, durable and environmentally friendly equipment. In 2015, it brought to market the UK's first British-built solar lighting tower, the SMC TL55 Solar. Since then it has refined the tower, an grown the range with the addition of the eco-friendly SMC TL55 Battery model, which will feature on its stand for the first time. With 500 hours of light on a single charge, this titan of a tower has the longest run time of any tower on the UK market thanks to its PIR sensors and dimmable LEDs. The sensors detect movement, so the lights automatically dim to save energy when no one is around. Super silent with zero emissions and 100% fuel savings, it is sure to be a star performer for eco-conscious events, clients and customers. Its compact and portable design also makes it easy to transport and there is an external plug-in connection for ease of charging. Morris Site Machinery will also be debuting an intelligent hybrid battery pack as part of a new partnership with Tangent Energy. These smart energy storage systems can be fitted to any generator with an auto start function to respond to changing power requirements to save on fuel, CO2 emissions, noise and running costs. UK Sales Director Richard Denholm said: "Our skilled design team is committed to developing the most comprehensive eco-friendly range of lighting towers to suit every event. We recognise the importance that the events sector places, quite rightly, on reducing environmental impact and ensuring long term reliability. "We're looking forward to showing our practical response with our Built to Perform range at the Showman's Show. 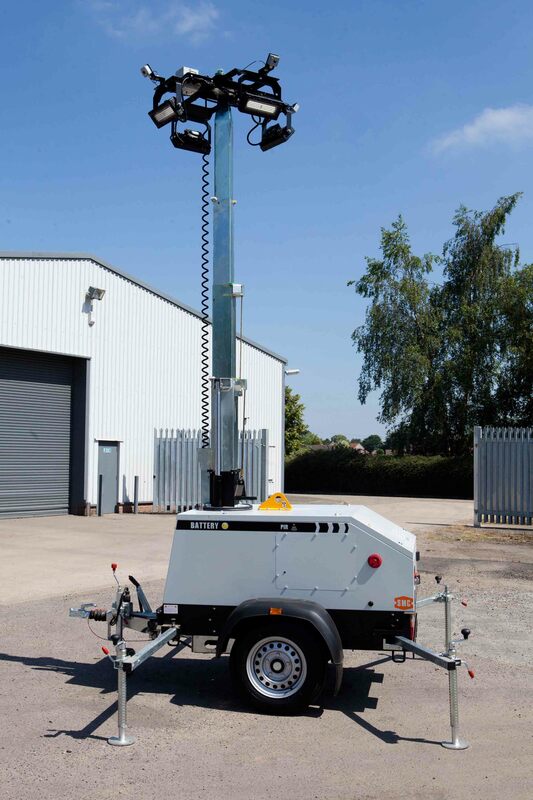 The TL55 Solar is popular with customers now operating fuel-free sites"
Also on display will be the SL80 Pallet, a super silent static eight metre mast lighting tower. It is highly transportable and compact enabling 22 units to be loaded onto a 40ft trailer. The TL60 Trolley will feature too. With its 4 x 320W LEDs, it is small in size but big on impact and is designed to be handled by a single operator. The TL60 has the same output as the TL90 and is leading the way with the most environmental and economical engines available on the market today. Completing the line-up is the Denyo Eventa 20KVA diesel generator which is perfect for events where noise must be kept to a minimum. It has an ultra-silent operation at just 55dB(A) @ 7m with 26 hours of uninterrupted operation. Morris Site Machinery can be found at The Showman's Show on Stand 198, Avenue C.